Look at the two trees. Which tree would you rather take the fruit from? The one on the left or the one on the right? There is an obvious difference between the two. 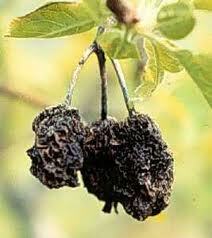 The tree on the left has vibrant fruit, but the plant on the left has really rotten, unidentifiable fruit. Just by the looks of these two fruit-bearers, we would rather take the products from the tree on the left and disregard anything with the tree on the right. Jesus tells us that good trees cannot bear bad fruit and bad trees cannot bear good fruit. However, he was not talking about literal trees of fruit. Rather, he was speculating about the character of a person. Jesus is warning us that we must be aware of false prophets. As Jesus said, false prophets come in sheepskins but are ferocious as wolves, he meant that they look like ordinary teachers; however, they do not have the same intentions. Some teachers only say what the people want to hear, claiming it’s God’s message. These people are motivated by fame, money, and power. Since every good preacher cannot bears bad news and every bad teacher cannot bears good news, it is our job to differentiate between the two. We should evaluate teachers’ words by examining their lives. 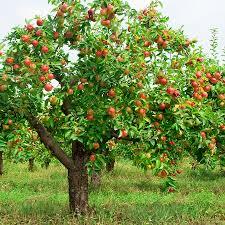 Since trees are consistent in the kind of fruit they produce, teachers are the same. Jesus created this metaphor to teach and warn us about the lessons all around us. Good teachers consistently exhibit good behavior and high moral character as they attempt to live out the Gospel and the Sermon on the Mount. On the other hand, bad teachers give false lessons, do not try to live out the Gospel, and have a lower character. This does not mean we should be constantly judging others and going on rampages to kick out teachers in the church. Everyone sins. But, we are to examine the motives of the teachers and the results they are seeking. As Dunkerpunks, our teachings should be focused on leading a countercultural life of pacifism and love. We should focus on the teachings in the Sermon on the Mount. We should be truthful in our speech. We should put an emphasis on our actions. Jesus also tells us in the scripture that he is more concerned with we do than with what we say. He wants us to do right, rather than speak the right words. Also, our actions should match our speech. Therefore, we should be wary of teachers whose actions do not match their speech. Bear good fruit through righteous actions and speech. Live by the Sermon on the Mount. 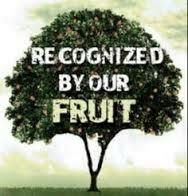 Be recognized by the good fruit in your life.